If you’re looking for something on the lighter side, look no further than the Prentice Collection by Ashley Signature Design Furniture. 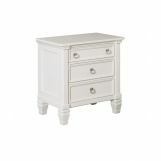 With delicate detailing and a lovely white finish, these pieces will bring a touch of heaven to any bedroom. Best of all, the Prentice Collection combines beauty with function, featuring an ample amount of storage to help you make the most of your space. 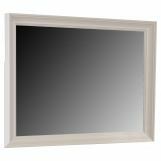 When it comes to looks and versatility, the Prentice Collection by Ashley Signature Design is second to none. 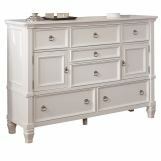 The Prentice Collection is designed to suit a wide range of styles, making it the perfect furniture for any home. The crisp white color and solid construction make it a favorite among a number of our customers who demand only the very best. 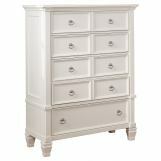 Trust the designers at Bedroom Furniture Discounts to bring you the top names in furniture design from around the globe. 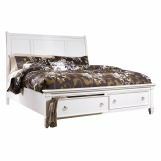 From poster beds to platforms to sleigh beds, we have the style you’re looking for at the price you want. 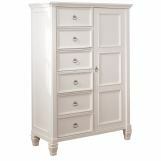 Bedroom Furniture Discounts is your go-to source for the perfect choices for your bedroom décor.